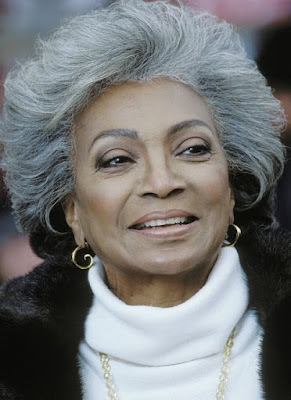 Nichelle Nichols was born Grace Nichols on December 28, 1932 in Robbins, Illinois. She began her show business career at age 16 as a singer with Duke Ellington in a ballet she created for one of his compositions and later sang with his band. After switching to acting, she was twice nominated for the Sarah Siddons Award for best actress in "The Blacks" and "Kicks and Company". Her film debut found her dancing with Sammy Davis Jr. in Porgy and Bess (1959). A guest appearance on The Lieutenant (1963) led to an offer from Gene Roddenberry to join the cast of Star Trek (1966). Her best known role on the series is communications officer Lieutenant Nyota Uhura. She later repeated her role in a string of successful Star Trek films: Star Trek: The Motion Picture (1979), Star Trek II: The Wrath of Khan (1982), Star Trek III: The Search for Spock (1984), Star Trek IV: The Voyage Home (1986), Star Trek V: The Final Frontier (1989), and Star Trek VI: The Undiscovered Country (1991). Invited to join the board of directors of the National Space Institute, NASA asked her to participate in its astronaut recruitment programme for the space shuttle project. Three of her recruits were on the ill-fated Challenger mission. For her work, she received NASA's distinguished Public Service Award. She has a consultant firm, Women in Motion Inc. through which she produced and starred in the Smithsonian Institution's National Air and Space Museum film "What's in It for Me?". With all this, she has not neglected her singing making a series of video albums the latest being "Nichelle Nichols: Live at Disneyland". On March 26, 1997, her younger brother Thomas Alva Nichols committed suicide with the other members of the notorious Heaven's Gate cult in Rancho Santa Fe, near San Diego, California. Her role as Uhura on Star Trek (1966) was one of the first times that an African-American actress was portrayed in a non-stereotypical role. Previously, African-American actresses were depicted as maids or housekeepers, and Nichols' role broke the stereotype barrier among African-American actresses. Like Sidney Poitier, whose characters were three-dimensional (e.g., Detective Virgil Tibbs), Nichols portrayed a character that was non-stereotypical. Although ignored in the "famous actors/actresses" in African-American cinema, including "famous celebrities" during Black History Month, Nichols was one of the first black actresses to portray a character on a television series and science-fiction series who was treated the same as characters of other races, and to all Star Trek (1966) fans, the television series and films that followed set the standard for multiculturalism (where people of different races, ethnicities and genders are integrated and a sense of equality coexists). With Star Trek (1966) co-star William Shatner, she shared the first on-screen kiss between a black female and white male on American television. This resulted in a deluge of mail - 99% of which was positive. Became the first African-American to place her handprints in front of Hollywood's Chinese Theatre, along with the rest of the original Star Trek (1966) series cast. In early 1951, at age 18, she married a dancer who was 15 years her senior. Within four months they split, and in August 1951, she bore his son. She remarried in 1968, this time to a songwriter, but that marriage also ended in divorce four years later. Made both her first (episode Star Trek: The Corbomite Maneuver (1966)) and last (Star Trek VI: The Undiscovered Country (1991)) "Star Trek" appearances with DeForest Kelley. Received a star on the Hollywood Walk of Fame at 6633 Hollywood Boulevard in Hollywood, California on January 9, 1992. Has appeared in episodes of three different series with William Shatner, Leonard Nimoyand George Takei: Star Trek (1966), Star Trek: The Animated Series (1973) and Futurama(1999). In her autobiography "Beyond Uhura: Star Trek and Other Memories", she confessed that she once had a close, personal relationship with Star Trek (1966) creator Gene Roddenberry. Discovered by Duke Ellington in her mid-teens, she toured with both Ellington and Lionel Hampton as a lead singer and dancer. Decades later, in 1992, she went back to her singing "roots", starring in a dramatic one-woman musical show called "Reflections", in which she became 12 separate song legends. She was also able to use her singing skills several times on Star Trek (1966). From the late 1970s until 1987, she was employed by NASA and in charge of astronaut recruits and hopefuls. Most of the recruits she launched were minority candidates of different races and/or ethnicities, as well as gender, like Guion Bluford (the first African-American male astronaut), Sally Ride (the first American female astronaut), Judith A. Resnik (one of the original female astronauts recruited by NASA, who perished during the launch of the Challenger on January 28, 1986), and Ron McNair (another victim of the Challenger disaster). She lived in Houston, Texas during her years as a Johnson Space Center employee. Former NASA astronaut Dr. Mae C. Jemison was inspired by Nichelle when she decided to become the first African-American female astronaut. Jemison was a huge fan of the original Star Trek (1966) series. Frustrated with the racist harassment, culminating with her learning that the studio was withholding her fan mail, she submitted her resignation from Star Trek (1966) after consulting with series creator Gene Roddenberry. She stated in several interviews that the harassment made her go back to work in theater until attending an NAACP fundraiser. 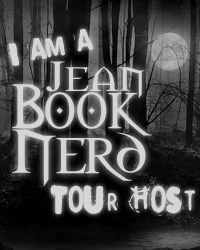 The fundraiser was where a Star Trek fan was about to meet her for the first time and, to her astonishment, the fan turned out to be Dr. Martin Luther King. King stated that his wife and children had seen Star Trek on TV and it was the only television series that he had approved of. He said that her role as the fourth in command of the USS Enterprise became a positive role model for African-Americans. She withdrew her resignation from the series when King personally convinced her that her role was too important as a breakthrough to leave. Parents are Samuel Earl and Lishia Nichols. Is an honorary member of Alpha Kappa Alpha Sorority. Attended FedCon 18 in Bonn, Germany on May 1-3, 2009. Received an honorary degree from Los Angeles Mission College in Los Angeles, California on June 8, 2010. On June 3, 2015, she suffered a mild stroke at her Los Angeles home and was admitted to a Los Angeles-area hospital. Best known by the public (and by many sci-fi fans) for her role as Lieutenant Nyota Uhura on the original Star Trek (1966) series. An asteroid discovered on August 16, 2001 has been renamed 68410 Nichols in her honor. Childhood friends with Marla Gibbs. Nichelle Nichols is a remarkable woman. I have loved her since Star Trek. Great post!